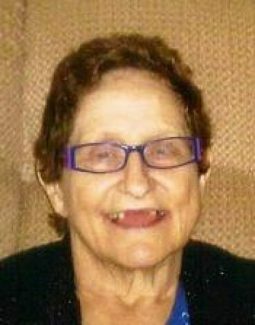 Maxamillion Reiser, 84, of O'Neill, Neb., passed away July 17, 2012 at the Golden Living Center in O'Neill, Neb. He was born July 5, 1928, in Butte, Neb., to Leo and Agnes (Liewer) Reiser. He met Nina Staples and they were united in marriage on June 6, 1949, at the Sts. Peter and Paul Church. Robert was a farmer and a car salesman in Butte, Neb. He was a member of the Butte Community Church, Full Gospel Church in Butte, Neb., Oaklake Bible Church in Lincoln, Neb., and Word of Life Church in O'Neill, Neb. Memorial services were held July 20, 2012, at the Word of Life Christian Center in O'Neill, Neb. Inurnment was in the Butte Cemetery. He is survived by his wife Nina; three sons, Al Reiser and wife Nancy, of Lincoln, Neb., John Reiser and wife Polly, of Taoyuan, Taiwan, Jerry Reiser and wife Joan, of Seward, Neb. ; four daughters, Dianne Weidner and husband Art, of Loveland, Colo., Bonnie LeGate of Osmond, Neb., Debbie Boes and husband Jerry, of Sioux Falls, S.D., and Marilyn Holz and husband Mike, of O'Neill, Neb. ; 19 grandchildren; 15 great-grandchildren; three sisters, Kathleen Raasch of Butte, Neb., Delores Johnson of Butte, Neb., sister-in-law, Mary Reiser, of Sioux Falls, S.D., and Leola Riesselman and husband Merle, of Naper, Neb. ; and two brothers, Harold Reiser and wife Sharon, of Butte, Neb., and Ken Reiser and wife Lee, of Butte, Neb. He is preceded in death by his parents, 2 brothers; Don Reiser and Duane Reiser, 1 Son in Law, John LeGate, 1 Grandson, Jonathan Robert Reiser, 2 Brother in Laws; Cliff Raasch, and Ray Johnson, and 1 Sister in law, Helen Reiser. Claudia Jane (Neal) Scholz, 60, of Fremont, Neb., formerly of Chambers, Neb., and O-Neill, Neb., passed away July 5, 2012 at the Fremont Area Medical Center. She was born August 12, 1951, to Claude and Dorothy (Hansen) Neal at O'Neill, Neb. She was one of five girls to be born at home. Claudia (Tex) went to school in O'Neill, Neb., later attending Fremont Public School while living with her sister Barbara and cousin Jane. After graduating high school, she was employed at M&H Café and Marcie's Café for a number of years before returning to O'Neill, Neb., to care for her grandmother while she worked at Seger's Café. She met Cleo Scholz, and they were married on December 27, 1971. After they were married they lived in Inman, Neb. She helped the family tend to livestock and bale hay for most of her married life. She made her home also in Chambers, Neb., and Fremont, Neb. Claudia enjoyed having visitors in her home, and going fishing and camping. She also did needle work on pillow cases to give to family. Claudia was loved and cherished by all who knew her. She was a very caring, giving person, helping to care for many nieces and nephews. She will be missed by all. She is survived by two sisters, Joan Kestenholz and husband Kenny of Fremont, Neb., and Barbara Rogers and husband Marlin of Fremont, Neb. ; and a special niece Debbie Rogers of Inman, Neb., whom she considered her daughter, and many other nieces and nephews.Rev. Wes Thompson will officiate. She was preceded in death by her husband, parents, two sisters, Florence Schaffer and Susan Volker, and grandmother Florence Neal, who raised Claudia and her sisters after their mother's death in 1955. Memorial services were held July 10, 2012, at Biglin's Mortuary in O'Neill, Neb. Burial was in the O'Neill cemetery. Jimmie Hanson Raben, 92, of Craword, Neb., passed away June 27, 2012 at the Chadron Hospital. He was born in Crawford, Neb., March 10, 1920, to Peter and Hannah Raben. 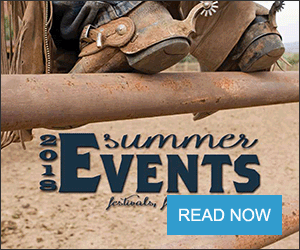 He began his life on the Raben homestead four miles north of Crawford, Neb., where he spent most of his 92 years. Jim grew up loving the things and the people around him. Farming the rich soil, proudly raising the best Hereford cattle around, helping his neighbors, and loving his family and his God. In his early years he attended country school, graduated in 1938 from Crawford High School and attended Chadron State College for a brief time until he was subscripted into the U. S. Army, on October 15, 1945. After basic training in Fort Riley, Kan., he joined the 7th Calvary Regiment, serving as Border Guard between the United States and Mexico, primarily guarding the Southern Pacific Railroad. In June of 1943 his troop boarded the USS Monterrey and sailed for Australia. While overseas, he proudly served in the Admiralty Islands, the Philippines, and New Guinea. He was awarded The Bronze Star (for gallantry) and The Purple Heart for wounds he received in battle. Jim worked diligently to build up the VFW in Crawford, Neb. Jim volunteered his time to serve on the school board, helping with 4-H, handing out bibles as a Gideon, and years of leadership within the Church of the Nazarene. He always had time to help a neighbor, loan out his equipment, or hug a shoulder. Jim's hobbies were fishing, playing horseshoe and spending time with his great grandchildren. He spent the last years of his life enjoying God's creation, watching deer walk through the yard and spending hours watching the birds at the feeders around his house. He is survived by his loving wife of 61 years, Veda; four children, Alice Dubs (Paul) of Hyannis, Neb., Vicki Troester (Bruce) of Marsland, Neb., Fred (Julie) Raben of American Falls, Idaho, and Gregg (Cathy) Raben of Crawford, Neb. ; 13 grandchildren and 15 great-grandchildren; and a host of relatives and friends. He was preceded in death by his parents Peter and Hannah Raben, five brothers, Jennings, Elmer, Lorentz, Arnold and John and two sisters, Catherine Hamm and Elizabeth Matti. Memorial services were held July 2, 2012 at the Crawford Community Center with burial in the Crawford Cemetary. Memorial contributions may be made to the Crawford Rescue Unit or the Gideons International. 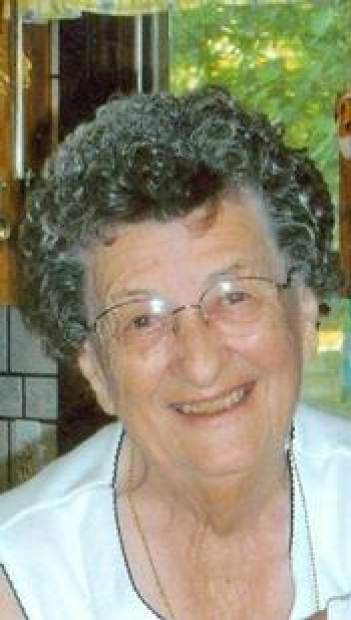 Maxine Spangler, 89, passed away July 14, 2012 at the Providence Center in Wayne, Neb. She was born on the family farm near Dorsey, Neb., in 1922 to William and Cecile (Throckmorton) Derickson. She attended rural school and graduated from Lynch High School. After her graduation, Maxine taught in one room school houses. She rode her horse across the plains to teach on most days no matter the weather. Maxine also stayed with her Aunt Georgie for nearly a year in O'Neill. Neb., while she worked at a local café'. On May 13, 1943, Maxine married Merle Spangler at the Dorsey Presbyterian Church. The young couple stayed with Merle's parents near Star until they found other homesteads to reside on. They lived in various places near Dorsey, Neb., and Star. In 1952, Maxine and Merle purchased a farm two miles south of Dorsey, Neb., where they raised their family. They raised hogs, milked cows and throughout their farming years increased their cow and calf operation. During this time, Maxine raised, butchered, and sold fryer chickens to many people in O'Neill, Neb. Maxine also had a garden and canned vegetables for her family. She took pride in the wonderful jelly she made from Steel Creek gooseberries, raspberries, and chokecherries. 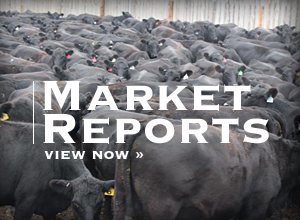 In 1978, Maxine and Merle purchased an acreage near O'Neill, Neb., and semi-retired. Maxine cared for Merle through a terminal illness in their home until his passing in 1997. She stayed on the acreage until she moved to The Oaks in Wayne, Neb., in April 2011. Maxine's love, dedication, faithfulness, and willingness to work hard throughout her life were a positive example for her children, grandchildren, and great-grandchildren. She will be missed as will her wonderful stories she loved to share about her life. She is survived by her children, Dennis (Nina) Spangler of Wayne, Neb., Veldon (Nancy) Spangler of Brandon, Fla., Gayle (Rollie) Pudenz of Plainview, Neb. ; 10 grandchildren; 10 great-grandchildren; three sisters, Norma Jean (Elroy) Lieb, and Mabel Boyd of Omaha, Neb., Mildred Heese of Randolph, Neb. 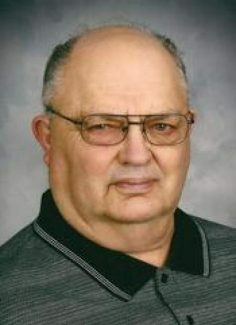 ; a brother, Sammie (Nancy) Derickson of O'Neill, Neb. ; sisters-in-law, Evelyn Derickson and Menna Derickson of O'Neill, Neb. ; nieces; nephews; and a special family, Don and Margene Emme and family of O'Neill, Neb. She was preceded in death by her parents, husband, two brothers, William and Albert; a sister Vivian Laursen; brothers-in-law, Arden Laursen, Darrel Heese, and Tom Boyd. Memorial services were held July 18, 2012 at the United Methodist Church in O'Neill,Neb. Memorial contributions may be made to the Providence Medical Center or to the Oaks in Wayne.